The Living Library is a tool that seeks to challenge prejudice and discrimination. It works just like a ordinary library: visitors can browse the catalogue for the available titles, choose the book they want to read, and borrow it for a limited period of time (30 minutes). After reading, they return the book to the library and, if they want, borrow another. The only difference is that in the Living Library, Books are people, and reading consists of a conversation. We also have Librarians, Volunteers, Promoters, Dictionaries and Coordinator of Living library. This project is needed because more and more youth NGOs from the target region have recognised Living Library as one of the most effective tools for challenging stereotypes, stigma, prejudices and discrimination. 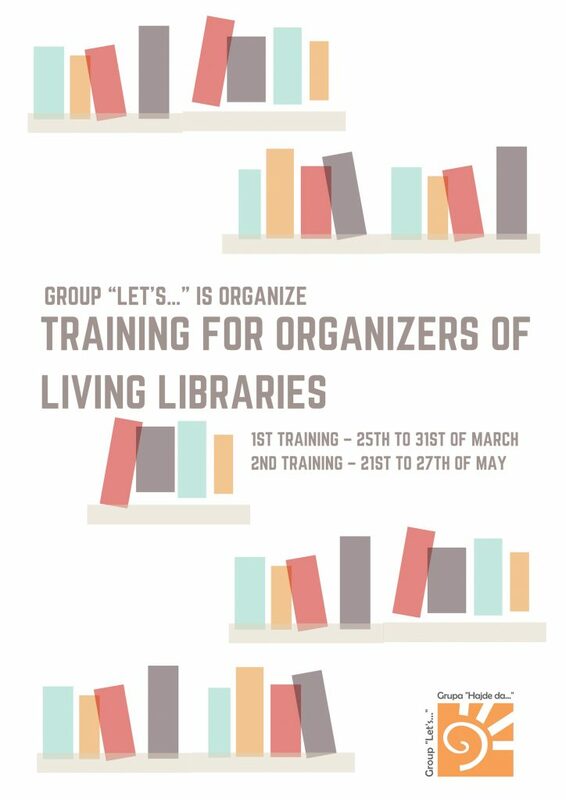 Project envisages several phases and activities, starting with a initial training for the Living Library organisers in Croatia, for representatives from each of the countries, which will include a small Living Library. In order to have better outreach and include as many trained people as possible and create a “snow-ball effect”, second training would be organised in Serbia for the new organisers, which will be followed up by the nine-month period where Living Libraries will be organised in each of the partner countries (7 Living libraries).